Fort Worth, Texas: Due to the rise in popularity of Pistol Caliber Carbine (PCC) rifles and after careful research and development, CMC Triggers has launched their own PCC Trigger. The CMC AR-15 / AR-10 9mm PCC Single Stage Drop-in Trigger, available in both “Classic” Curved Bow and CMC’s patented “Signature” Flat Bow, was designed with the highest caliber that one comes to expect from CMC Triggers. The same CMC Trigger that has become respected for use in AR-15 and AR-10 style rifles can now be easily installed in PCC rifles. Previously, PCC rifles with a standard trigger installed had approximately a 50% trigger reset failure rate. CMC’s new PCC Trigger geometry design has overcome those earlier issues. The PCC Trigger’s hammer dimensions have been modified to facilitate the 9mm platform and ensure reliability with each pull of the trigger. The CMC Curved Trigger bow has an exceptionally smooth feel and ultra-clean break while the CMC Flat Trigger Bow renders a linear feel unsurpassed by any other trigger bow shape. While PCC shooting has been around for a while, it has recently become popular for competition shooting. USPSA now allows the PCC to be used in matches. Carbines are easier to shoot fast, and easier to shoot accurately compared to handguns. Many 3-Gun shooters have also found that shooting USPSA with a PCC is a good way to get rifle practice for 3-Gun. CMC Triggers is the original maker and manufacturer of the Drop-in Trigger Group for the AR-15/10 rifle since 2003. CMC’s critical sear engagement surfaces have a propriety machining process that renders superior surface finish and dimensional control. As compared to their competition, the techniques used establish a 1-2 RMS surface finish as opposed to EDMing which leaves a pitty 32 RMS, compared to a mirror which is 0 RMS. CMC Triggers sear engagement overlap is six to eight times greater than their competitors. 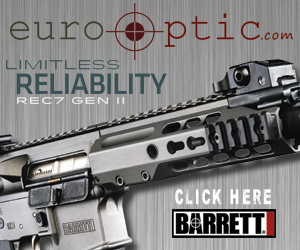 This provides a much safer trigger and enhances reliability. All CMC products come with a Lifetime Warranty and are made in the U.S.A., CMC proudly designs all its products for Law Enforcement, Military and Civilian use. The following is a Press Release from CMC Triggers. Since November 2017 CMC Triggers has been working on New specific products directed at SOCOM End users. CMC has seen its new Full Auto Select Fire Triggers included into SOCOM Contracts during this time. Responding to the needs of specific units, CMC Triggers works to deliver 100% solutions where ‘off the shelf commercially available items’ only meet 80% of the users requirement. The Family of Glock Accessories to include the New Combat Magwell for Various Glock Models has been tested to meet the strict demands of US SOCOM units. The Magwell is manufactured from 6061-T6 Aluminum. Available for various Glock Models and Generations 1-4, variations include a Low Profile Concealed carry design. CMC Triggers and its products are subject to stringent in house quality control and offer lifetime 100% satisfaction Warranty. 100% Manufactured in house in The Great State of Texas! This is the latest Build Breakdown revolving around the new Rainier Arms Overthrow Lower Receiver featuring a Spartan helmet. The Build Breakdown series lists out the parts used to build the rifle as pictured with links to product information and purchasing. Some parts not pictured are not listed. CMC Triggers has stepped outside of the box this year with their line of triggers dedicated for the AR platform of rifles and has entered into the Glock Trigger Market. The trigger, called the CMC Glock Trigger Gen 1, will be available around mid-March 2017 for a cost in the ballpark of $175. The trigger will be available for both Gen 3 and Gen 4 Glocks, will offer a 5# trigger pull and will have the same trigger safety functionality as a standard Glock trigger. One cannot mistake the unique look of the CMC flat trigger and it translates well over to the Glock trigger. CMC Triggers, which was featured earlier in the Media Day coverage is seen everywhere at SHOT as they had sponsored the badge neck lanyards. I had previously covered their AK-47 Trigger and had a chance to see all three profiles at the show. The AK-47 Trigger is available in Flat, Curved and AK-Traditional Curve profiles and all three will be available for around $220. The feel of these triggers are what would be expected with any CMC Trigger as they are smooth and crisp. Also available is a joint collaboration between CMC Triggers and LanTac-USA with the E-CT1 Triggers that are available in both LanTac Flat and Curved profiles. CMC Triggers showed off their new AK-Trigger at Media Day. The AK-Trigger is offered in three profiles, Flat, Curved, or AK-Traditional Curved. The AK-Trigger is a true Drop-In Trigger with no adjustments needed due to varying pin locations. The sear engagements are 1-2 RMS (machine finish), with 0 being a mirror finish. The CMC AK-Trigger will MSRP around $220 for all three profiles. LanTac USA and CMC Triggers have partnered up and created two new triggers that compliment both companies. Neither LanTac nor CMC Triggers have created a product as of yet that I have not been thoroughly impressed with and happy to run in any AR-platform rifle. I am excited to see how these triggers perform. These triggers are available for pre-order (link at bottom of page). The following is information from the LanTac USA webpage regarding the trigger specs. This Tactical Trigger Group is a completely self contained, 100% drop-in fire control group upgrade for the AR-15, LR-308 and AR-10 rifles. Building on the original Super Match design, the double patented Tactical Flat or Curved Trigger design yields truly remarkable and unprecedented trigger control, trigger feel and accuracy, while also retaining the rugged reliability of a Mil-Spec trigger group. Trigger pull is factory pre-set at 3 to 3-1/2 pounds, and is not user adjustable. Fits most standard Mil-Spec lower receivers with .154″ diameter trigger and hammer pin holes. Mil/LE Discount available, please contact us for your discount code. For more information, click “HERE“.